Our climbers and crews go through continuous education to bring you the best quality work, safely and efficiently. Here are a few photos of our crews getting trained on CPR, tree cabling, new equipment, and refreshing some of the basics. 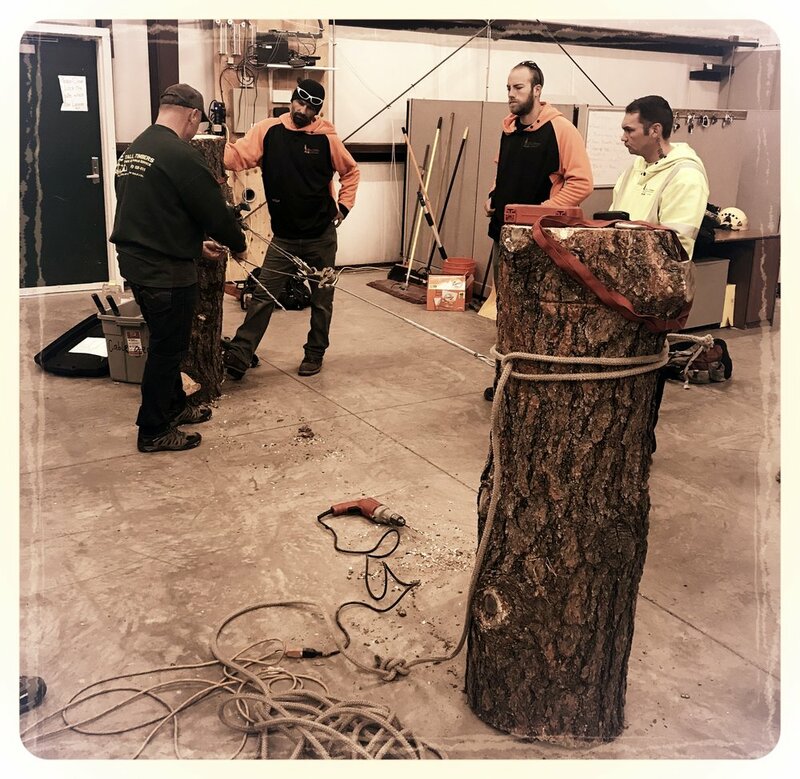 Our crew leaders also just got back from the ProGreen EXPO, a three day conference, to learn some of the new techniques, practices, and safety procedures from the leaders in the tree care industry.